A good Template is most recommended for any blog. There are very important to make your blog good and stylish, user friendly and SEO or Adsense friendly. A good template is make a blog for user friendly, SEO ready and its attracted users on blog. If blog's template/theme not a user friendly, seo ready so user not read your blog and you are can not became a successful blogger. So if you want to be successful in blogging so you have need to a choose a user friendly, SEO Ready optimized template or themes. 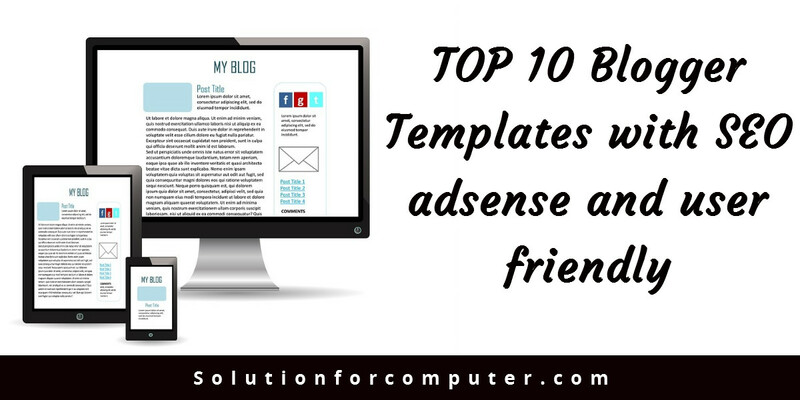 In this Article i have show you top 10 seo or user friendly blogger template/theme. 1. DUOS MAG :- Duos Mag is magazine theme. This template is user friendly and seo ready. duos mag is easy to navigate by user. Search box available on top right side in this theme. Populer post and facebook like widget is also available in this theme. 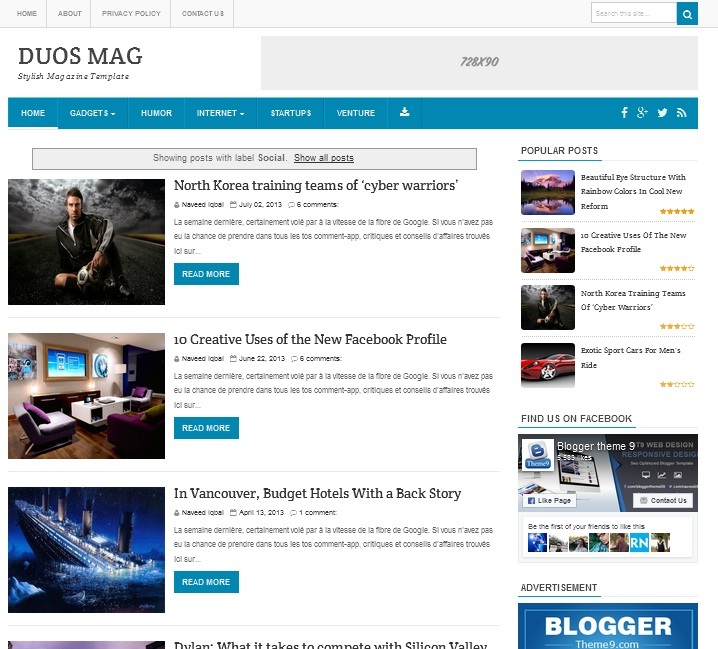 Duos Mag is also adsense ready theme. 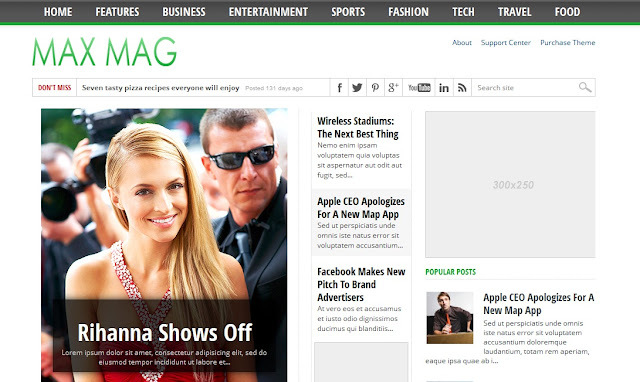 uos mag is ads ready blogger template where you can place ad beside related article widget. 4 featured posts injected in footer area. 2. Maggner Template :- Maggner is a magazine blogger template inspired by ribbon wordpress theme/ template. Maggner theme is fast loading and SEO ready theme. Maggner template is clean coded and its easy to edit. Facebook share or like widget is by default available in this Temple. In maggner Template 2 columns with amazing header for adsense ads. 3. SENSATIONAL :- It is a blogger theme. 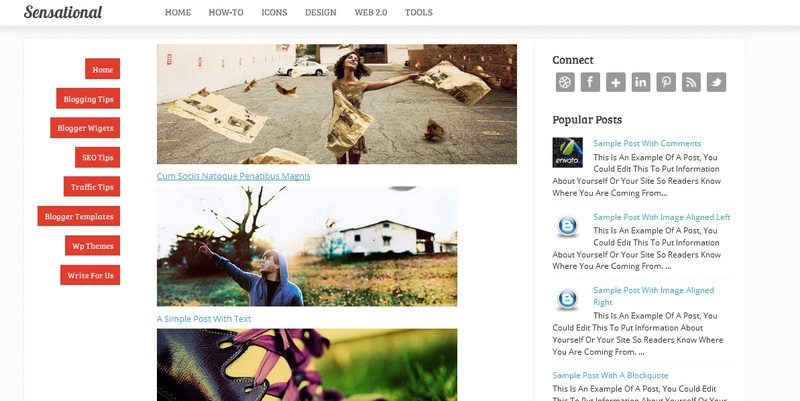 sensational is a fast loading and seo ready template. This template comes with 2 column and with 4 column footer. search box is available in this template. sensational is comes with Social shearing icon and stylish popular post widget. 4. 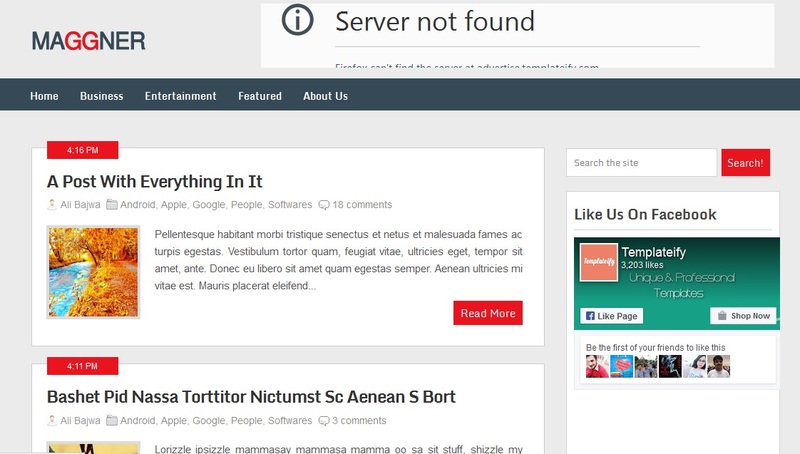 Elice :- Elice is a free user friendly and seo ready template. Elice template is comes with 2 column in right side sidebar and footer with 4 column . Elice is comes with default Facebook share like button. Labels and designed popular post widget. In his template default email newsletter widget and good comment style. It is Adsense ready and fast loading Template. 5. 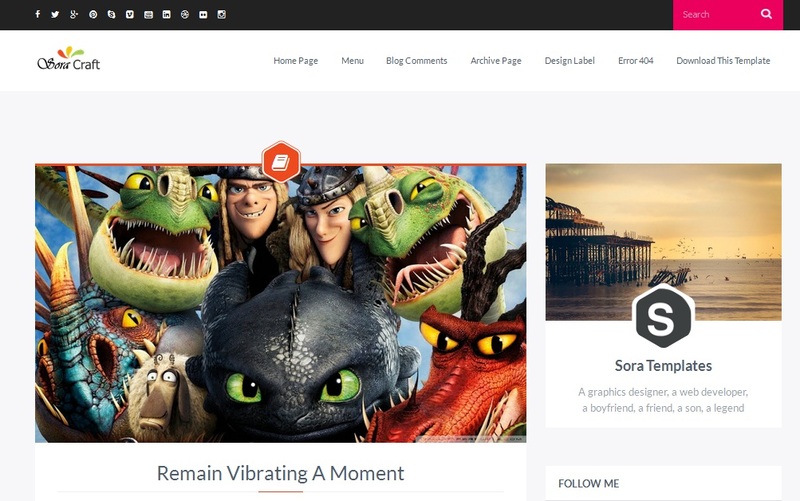 MAX MAG :- Max mag Template is a fast loading and 100% seo optimized. This Template is comes with sticky multi drop menu.in this Template has 3 column with 2 right side bar and 2 column footer. This template is best if your blog is news related. In this template inbuilt author box on every post. 6. Earth Pro :- Earth pro is very fast loading template for blogger. Its a fully SEO friendly and Ads ready. 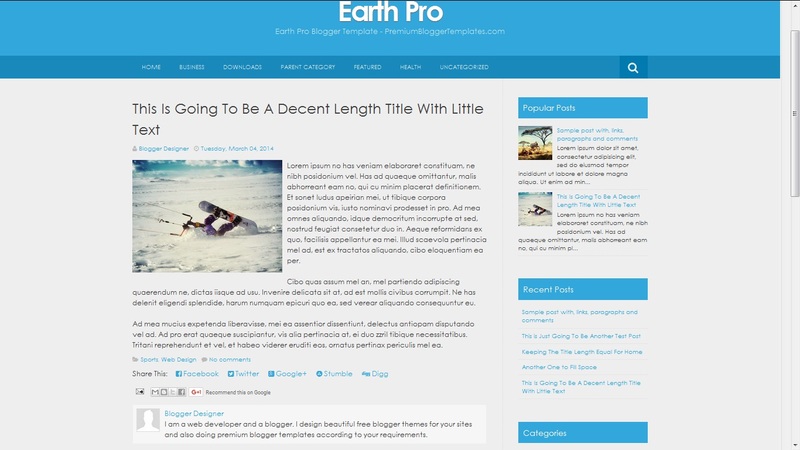 earth pro template is comes with 2 column 1 sidebar and 1 right sidebar. Search box is by default in this theme and author box on every post. 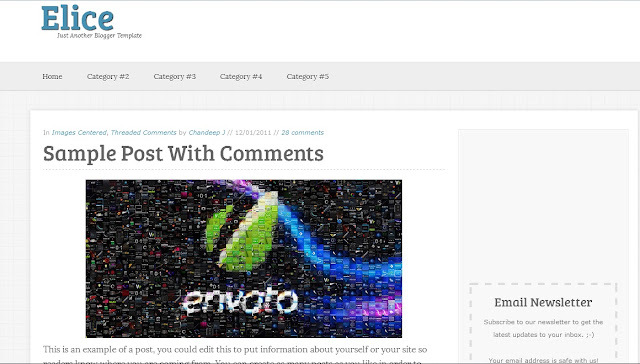 Recent post and popular post widget are available in this template. 7. 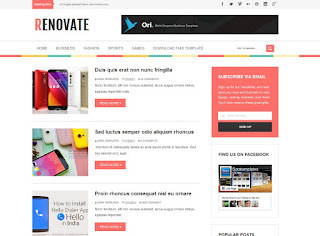 RENOVATE :- Renovate is a most popoler template for blogger. 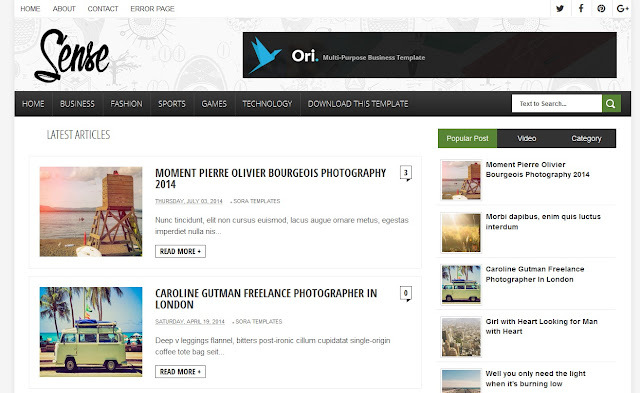 This theme is a 100% SEO optimize and user friendly blogger template. Renovate is a inbuilt Email subscription widget and its comes with 3 columns footer. renovate is Ads ready and fast and clean loading Template. 8. Sense :- Sense is a very fast loading template and looking very imperishable.It is mazine base blogger template and its easy to install and customization in sense template. This template is free, fast, SEO ready, and Ads ready. Its comes with 3 column in footer. Facebook like widget is available on this template. 9. 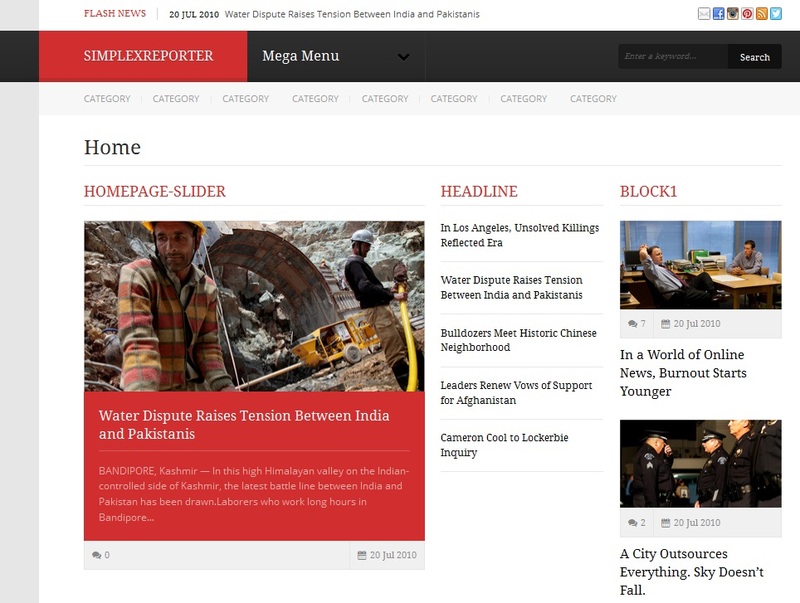 Simplex Reporter :- Simplex Reporter is template is best for news related blogs. this template is fast loading and easy to navigate. Simplex Reporter is Comes with 4 column footer, , professional look and social media and Facebook sharing widget. I hope this post is helps you to choose perfect Template for your blog. If this post is useful for you and you like this post please share this post with your friend on Facebook, twitter, Google plus and more .Please comment your experience about this post in comment box, and you also follow us by email and other social media .